Can someone translate the name of the Russian ship? The Lloyd Tug has the name lion of which there is no photo here. 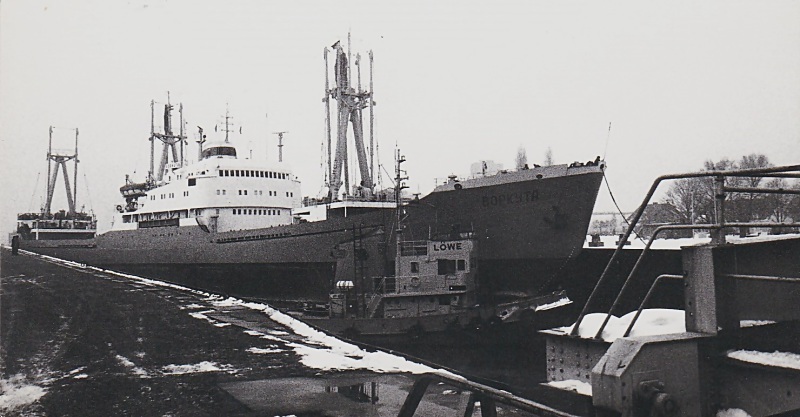 The photo should be from 1979 and shows the ship in the lock to the industrial port of Bremen. Hello Pieter, that went fast, thank you.